Cologne - FC Bayern München will once again be checking into The Aspire Academy for Sports Excellence in Doha for their winter training camp - the fourth visit to the Persian Gulf for the record champions. Where will Bayern be training? bundesliga.com has all the lowdown on where the Bavarians will be preparing for the second half of the 2014/15 season. 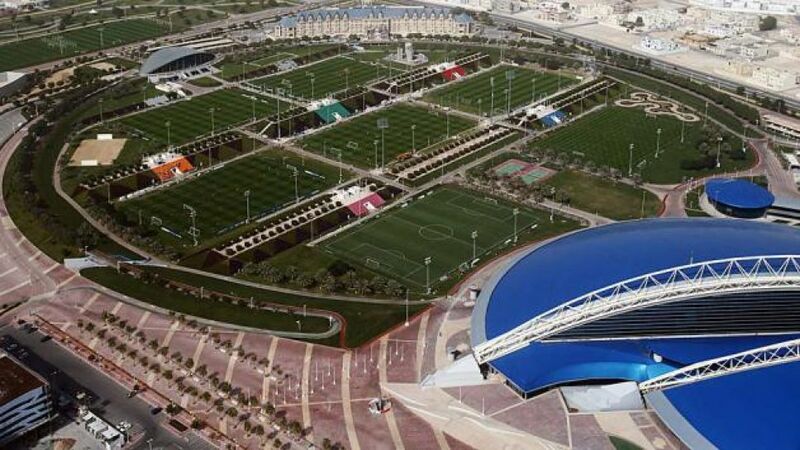 Bayern will be settling into the Aspire Academy in Qatar, where the temperature hits an average of 20 degrees celsius at this time of year and the pitches are in perfect condition. They will also have access to all the other facilities they need for an optimal training regime. Right next to the training pitches is the Hotel Grand Heritage Doha, where Bayern's stars will get some much-needed rest and relaxation between exertions. The Victorian-style five-star hotel has 136 rooms and an extensive spa. After congregating under the orders of Pep Guardiola on Wednesday, 7 January, Bayern will swap the cold of Bavaria for the warmer climes of Qatar on 9 January, spending a total of eight days in their Doha domicile. Two friendly matches have also been arranged, the last against the Qatar Stars, which takes place just before the squad returns to Munich. Back in Germany, Guardiola's troops will then face VfL Bochum in one final warm up on 23 January, a week before they travel to in their first Bundesliga fixture of 2015. The national football league has been in existence since 1963 and in more recent times has attracted some of football's biggest names. Former Real Madrid CF and Schalke legend Raul played for Al Sadd between 2012 and 2014, while current FC Bayern München boss Pep Guardiola represented Al Ahly between 2003 and 2005. The 22nd FIFA World Cup is also set to take place in Qatar in 2022.